The most common and simple installation of the above counter basin, the opening size of the countertop is generally slightly smaller than the size of the sink, so that the sink can be placed on the countertop, and then a circle of glass glue can be used around. The installation is the simplest and more beautiful, but it is not convenient to clean the countertop in the future, and the glass glue is prone to mildew and blackness. The installation of the Taichung basin is based on the opening of the above-ground basin. The circumference of the opening is polished down one layer, so that the edge of the sink is just embedded in the countertop and flush with the countertop. 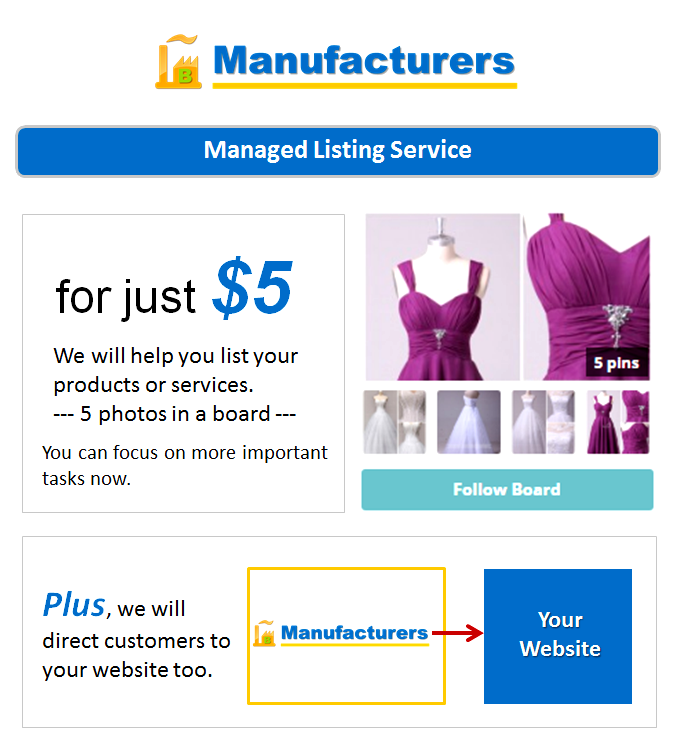 This method of installation is time consuming and the size must be accurate. The size of the opening hole of the under-counter basin is slightly wider than the inner edge of the sink, the sink is glued from the underside of the countertop, and then fixed by a buckle or stone. The advantage of this installation is that water and debris on the counter can be easily swept into the sink, which is very convenient to clean. Installation is more troublesome. 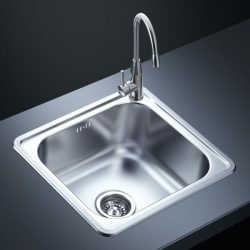 Generally, it is necessary to send the sink to the cabinet factory for bonding during the cabinet customization process, which requires an additional installation fee of two or three hundred yuan. The three installation methods also need to pay attention to the edge shape of the sink during the process of selecting the sink. 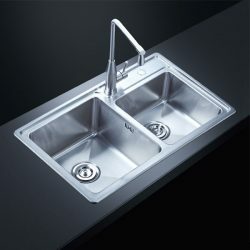 The undercounter basin is installed to fit the wide flat sink, and the above counter basin can be installed normally. 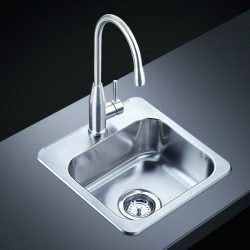 The advantage of the pull-out faucet is that the water can be placed in every corner of the sink and even pulled out to drain the container on the countertop. Especially when cleaning the sink, it is very practical. The small size of the sink or the selection slot is good. 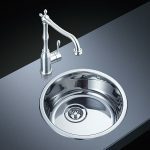 If it is a large size sink, then the single and double slots can be chosen according to your lifestyle. The single tank can completely put down a large pot with a handle. 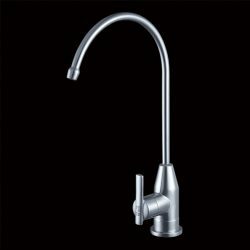 The double groove can also put down the pot, and it is also very good to wash with the pull-type faucet. The double tank can be washed while greasy, the other side of the tank is cleaned, or drained while storing water. If you need to install a water purifier or garbage disposer under the sink, you should look at the size in advance. Some of the drainage systems under the sink are more complicated and take up more space. In addition, the water purifier faucet needs a hole. If the sink has only one soap dispenser hole, you must only give up the soap dispenser if you want to install the water purifier. Waterproof aluminum foil is generally added under the sink cabinet, although most stainless steel sinks now have anti-condensation coatings, but it is always right to add a piece of insurance just in case. What Should You Pay Attention To When Selecting The Size Of The Stainless Steel Cabinet Sink? Why Is There A Problem With The Stainless Steel Kitchen Sink? 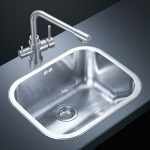 Where Should The Stainless Steel Kitchen Sink Be Designed? 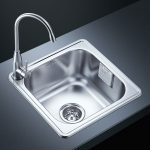 What Should I Do If The Stainless Steel Kitchen Sink Is Often Blocked? What Are The Precautions For The Installation Steps Of The Stainless Steel Kitchen Sink?